Striking large blackbird. Common in West and Midwest in summer, winters in Southwest, west Texas and Mexico. Loosely colonial breeder in wetlands; feeds in large flocks in one agricultural fields in winter. Diet of insects and aquatic invertebrates in summer, and grains and seeds in winter. 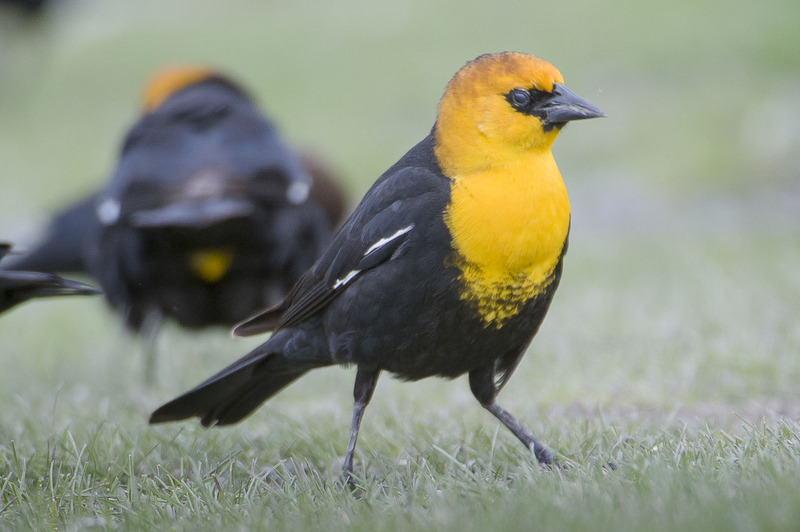 Large, long-billed blackbird; adult males have striking yellow heads while females and young males are brown with duller yellow heads. Females choose nest site in reeds overhanging water, and one male may host up to eight females in a territory. Aggressive to Marsh Wrens and Red-winged Blackbirds when breeding. Lifespan up to 11 years. Population ~ 11 million and stable.